ACRA was the final regatta for many as a part of GT Crew. The collegiate club national championships, marks the final regatta in the teams spring schedule. This year it also marked the last regatta for 10 rowers on the women’s team. 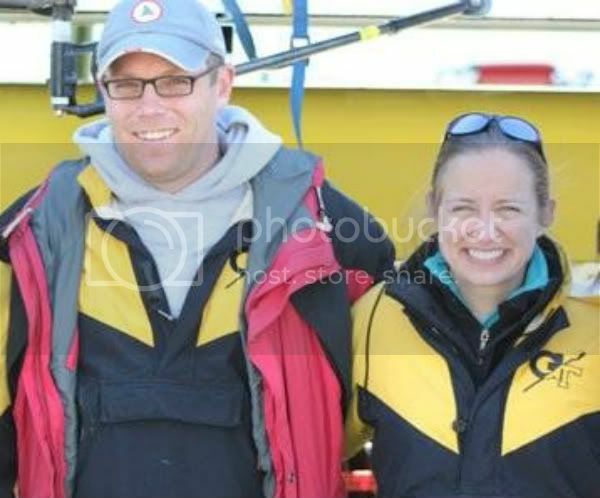 It was also the last regatta for two of the womens’ coaches, Ross Beattie and Liz Henry. Together the two of them have shaped and molded the womens team into a force to be reckoned with. Ross brought a background of skill and ambition that he worked to bestow on all the ladies of the team. Thanks for your time and good luck with Baby Beattie. Liz was the coxswain for the mens 4+ that went to ACC Championships in 1999 and she returned to the team in 2005 to coach a set of young women. She has been one of our biggest supporters over the last few years and has taught the women about confidence, grace, and power in addition to teaching the rowing stroke. Thank you Liz and good luck with your future endeavors!